Great River Co-op T-Shirts Coming Soon! 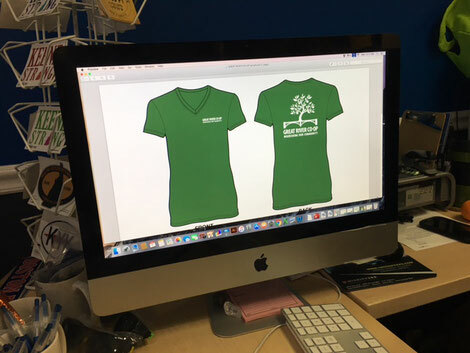 Our board members have been working with Beeze Tees in Keene to design simple green Tshirts with the Great River Co-op logo. They will be available for sale on our website in the very near future as a fundraiser. We've chosen multiple styles for men, women and kids-with an organic cotton option as well! Interested in being alerted when the t-shirts become available? Send us an email and we'll add you to our mailing list! Other items that will be available in the online store will be reusable shopping totes, water bottles and bumper stickers. In fact, if you'd like a Great River Co-op tote bag for free-become a member during our 25 members in 25 days campaign that's running through Christmas!